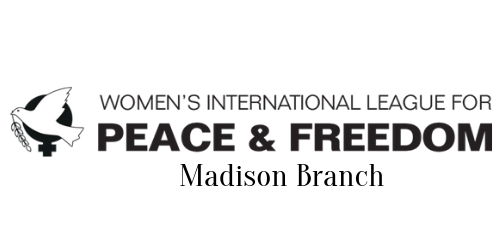 Join Voices for Creative Nonviolence, Wisconsin Coalition to Ground the Drones and End the Wars, and Wisconsin Network for Peace and Justice as we walk from Madison, Wisconsin to Volk Field. We will walk from the Dane County Jail in Madison, Wisconsin to Volk Field in Camp Douglas, Wisconsin, about 90 miles. Volk Field is the home of the Wisconsin Air National Guard. This base trains pilots to remotely operate the “Shadow” drone by computer linkup. Drones of this type are used in conjunction with the U.S. Army and Marine Corps for reconnaissance, surveillance, targeting, and assessment. We start from the Dane County Jail and end at Volk Field to underline the connection between the violence perpetrated by the drones indiscriminately killing people of color overseas and the militarization of our police forces at home where people of color are being killed through the use of police violence. There will be a kick-off event on the evening of Monday August 17 in Madison. More inforation on that can be found here. The walk will begin on Tuesday morning with a short program in front of the Dane County jail. We will be walking through the beautiful, hilly Wisconsin countryside. The daily walks will range from 12 – 16 miles. We will take advantage of opportunities to share with communities we are passing through. The walk ends on Tuesday August 25 with a vigil against drones at the gates of Volk Field. 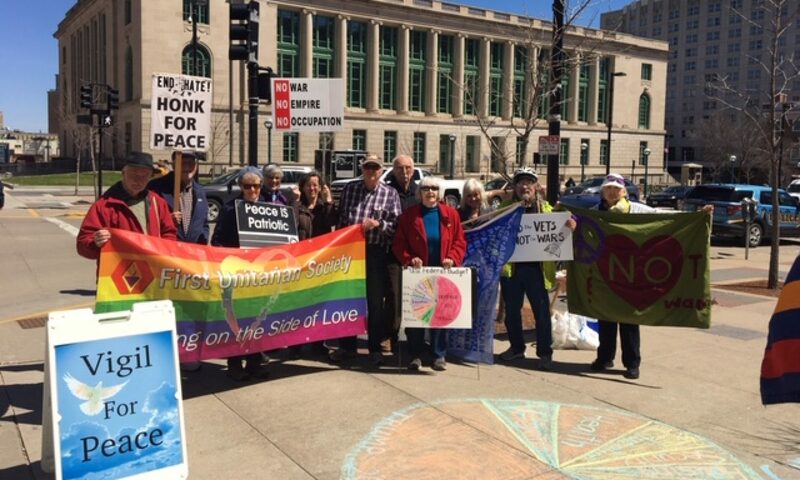 The Wisconsin Coalition to Ground the Drones and End the Wars has been holding monthly vigils at the gates of Volk Field for 3 ½ years.